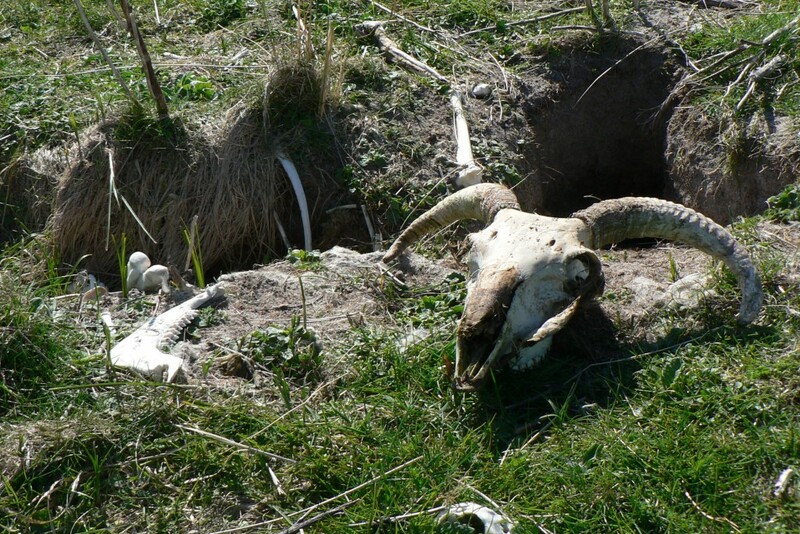 The Ghost Course Links to the past on a Scottish island. The New Yorker, 4/20/2009. The Road Less Traveled A Trip to northwest Ireland reveals outstanding courses and modest prices. Golf Digest, August 2011. 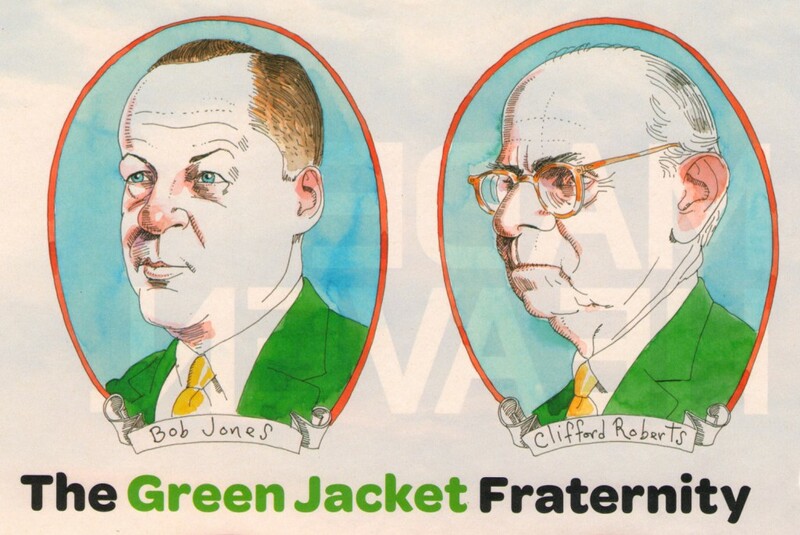 The Green Jacket Fraternity It’s hard to believe that Augusta National once had to beg for members, even at just $60 a year. Golf Digest, April 2011. 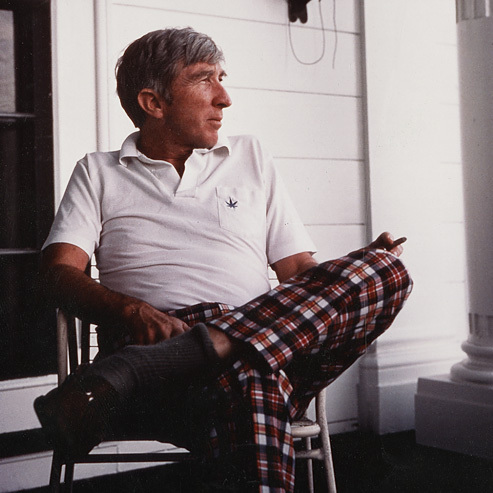 John Updike, Golfer 1932-2009. Golf Digest, April 2009. Where Real New Yorkers Play Who says you can’t play the game in the city? 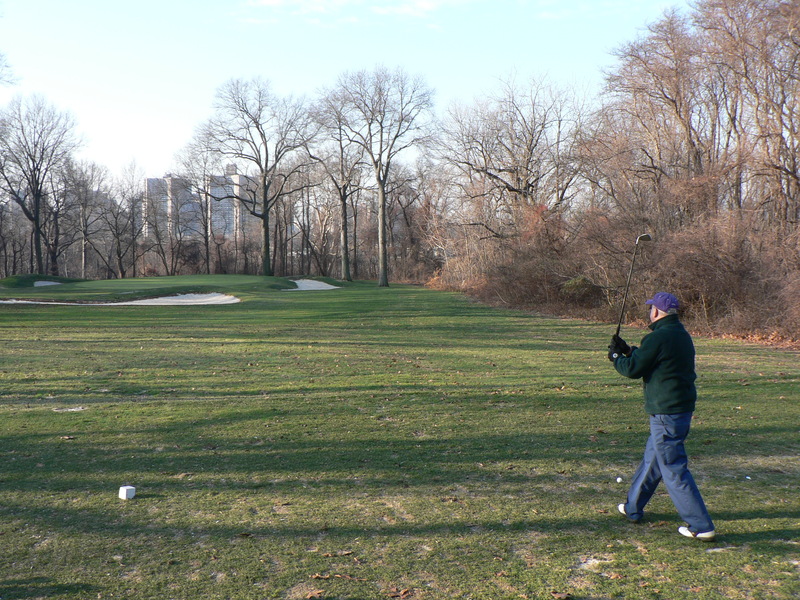 From Brooklyn to the Bronx, a dozen courses have a unique urban appeal. Golf Digest, June 2006. The Greenkeeper’s Tale Golf Digest, February 2003. Moe Knows Moe Norman, golf’s troubled genius. Golf Digest, December 1995. Over the Top A golfer’s journey to Dubai. Golf Digest Index, Winter 2006-2007. Ireland’s Short Game The home of Pitch & Putt. Golf Digest, March 1997. Title IX Babies The golf-playing Lendl girls are part of a revolution in the sport. The New Yorker, 5/15/2006. The Perfect Ten Playing the best courses in America. Golf Digest, May 1995. What is Tom Watson Driving At? The world’s best golfer at 32. Esquire, September 1982. Does Beer Help? A scientific inquiry in Las Vegas. Golf Digest, July 2003. The Men Who Made the Masters Clifford Roberts, Bobby Jones, and the greatest tournament in golf. Vanity Fair, March 1999. The Making of the Masters An inside look at Clifford Roberts and Augusta National. Golf Digest, April 1999. Back-Roads Scotland Golf Digest, October 2007. A Real Mickey Mouse Tournament Playing in the pro-am at the Disney Classic. Conde Nast Traveler, April 1993. A Taste of Tour Life Playing in the pro-am at the Western Open. Golf Digest, January 2004. Old Glory All fourteen courses on the British Open Rota in one amazing golf trip. Golf Digest, July 2009. The Case for All-Male Golf Clubs Golf Digest, March 2003. Ten Things Every Golfer Should Do Before Dying Golf Digest, August 2005. The Dream Makeover At 50, a new lease on golf. Golf Digest, May 2006. Under Repair A return visit to my mid-life guru. Golf Digest, May 2007. Melbourne Shuffle Golf in Australia’s Sandbelt. Golf Digest, December 2010. The Answer is Yes Warren Stephens and his Alotian Club, Golf Digest Index, Spring 2008. The Adventure of a Lifetime A golf trip to Royal County Down, in Northern Ireland, Golf Digest, February 2014. Pummeled by Pebble Trying to break 100 on the Open course. Golf Digest, March 2010. The Wild, Jagged Line Golf in and around Dublin. Golf Digest, October 1993. 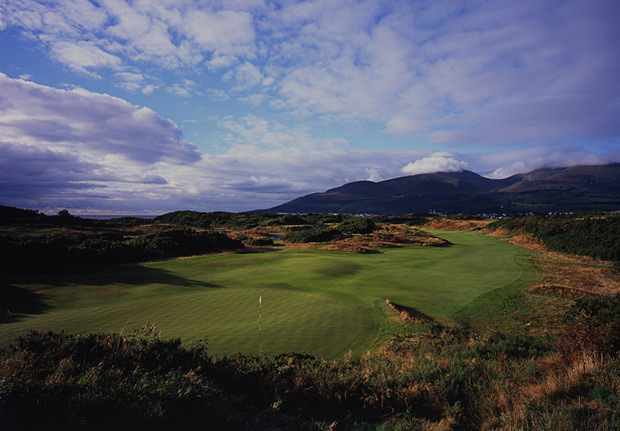 The World’s Best Golf Trail Ireland’s southwest corner. Golf Digest, October 2006. How to Myrtle Beach The capital of buddies trips. Golf Digest, May 2010. The Ultimate Guide to the Ultimate Buddies Trip Old Course included. Golf Digest, December 2004. Oh, To Be a Member at Merion Home of the 2013 U.S. Open. Golf Digest, June 2013. Merchandise Fooling around in Orlando. The New Yorker, 3/9/1992. Golf Through the Seasons Golf Digest, March 1995. What Golf Can Learn From NASCAR Playing a scramble with a race-car driver inside the Indianapolis Motor Speedway. Golf Digest, February 2007. 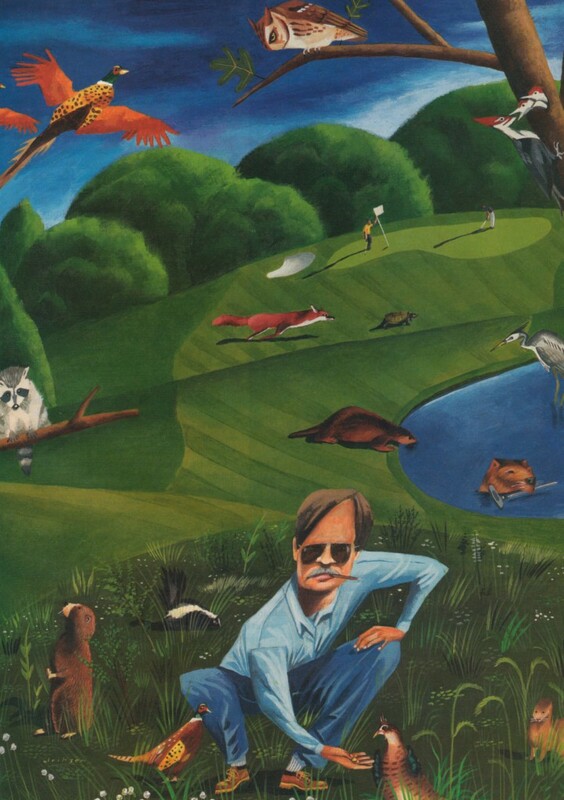 Mr. Casual Tom Devlin and Flint Hills National, Golf Digest Index, Spring 2009. Faster (and Better) Playing 136 holes in one day. Golf Digest, August 2001. Midsummer Madness Playing golf from dawn to dusk on the year’s longest day. Golf Digest, September, 2012. The New Way to Read Greens Finding the Zero Line. Golf Digest, October 2010. Letter from Golf Camp Going to swing school in Sea Island, Georgia. Esquire, November 1992. Why Your Golf Clothes Perform Better Than You Do High-tech gear for the golf course. Golf Digest, April 2014. 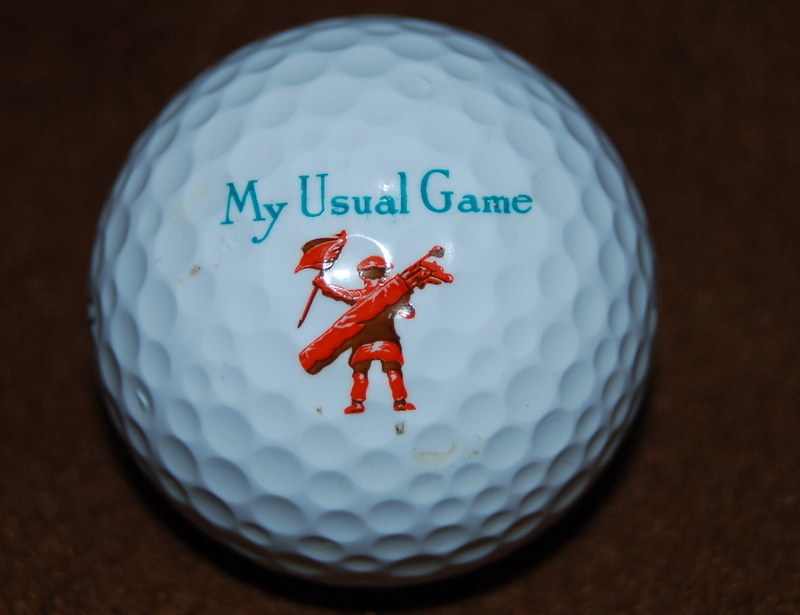 The Main Event Member-guest tournaments:majors for the rest of us. Golf Digest, November 2005. To Bandon and Beyond Mike Keiser on good golf architecture. Golf Digest Index, Spring 2007. The Joy of Office Golf Golf Digest, November 1999. That Sinking Feeling Colin Montgomery coughs up the 2006 U.S. Open. Observer Sport Monthly, December 2006. A Scottish Pilgrimage Touring the renowned golf courses in the homeland of the sport. Atlantic Monthly, March 1993. Swinging Golf, it turns out, is a very risky business. The New Yorker, 4/12/1999. England’s Forgotten Links A visit to the Lancashire Golf Coast. Golf Digest, July 1996. The Chosen One Will golf ever be the same after Tiger Woods? The New Yorker, 8/21/2000. Inside the Lair Hanging around with Tiger Woods. Men’s Vogue, Spring 2006. Tiger at Ten In his first decade, he changed the game. Now what does he do? Golf Digest, August 2006. The Lessons of the Tiger Story What goes wrong when the universe revolves around an athlete. Golf Digest, July 2010.